ritz carlton bachelor gulch review! 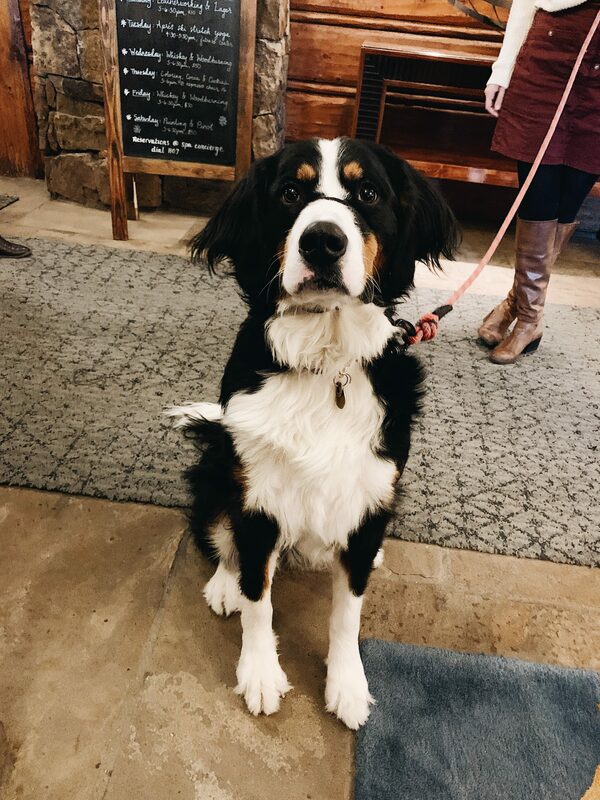 If you follow me on Instagram, then you know that Michael, Shiloh, and I recently enjoyed a little getaway to Ritz Carlton Bachelor Gulch. This gorgeous resort is located in the Beaver Creek area with the most stunning view of the mountains. I get asked all the time for travel recommendations and more insight on our travels, so today I want to give y’all the full low down on our time at RC Bachelor Gulch! 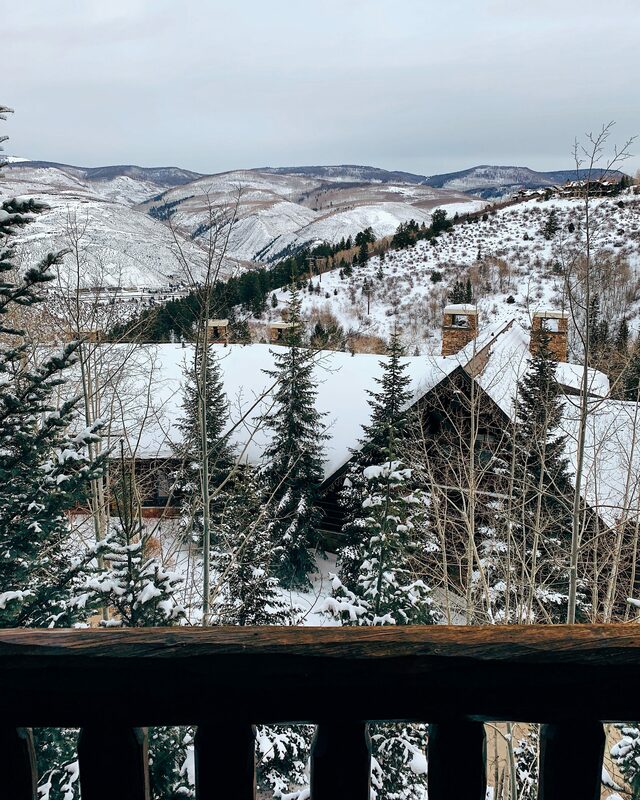 The Ritz Carlton Bachelor Gulch is truly the coziest mountain resort that makes for a perfect getaway. Whether you’re looking to ski or just wanting to enjoy a relaxing vacation in Colorado, this resort truly has everything. First off, every square inch of this place is stunning! It’s so beautiful and well-designed, yet still has that welcoming ‘home away from home’ feel to it. We instantly felt relaxed when we arrived. The staff was incredibly friendly and helpful. If we needed reservations made or a pack and play for Shiloh, they were so quick to take care of everything. I’ve stayed at gorgeous hotels before where the staff isn’t very attentive, and it truly takes away from the experience. I can honestly say that wasn’t the case at RC! Any time I’ve stayed at a Ritz Carlton hotel, I’ve been consistently impressed with all of their staff. We stayed for two nights which meant we got to enjoy both on-site restaurants (more on that in a minute), and Michael also got to take advantage of their incredible skiing. It’s ski in / ski out, and Michael said the skiing was amazing. I chose to hang back with Shiloh girl and relax by the fire! I love that about this resort: there’s truly something for everyone. 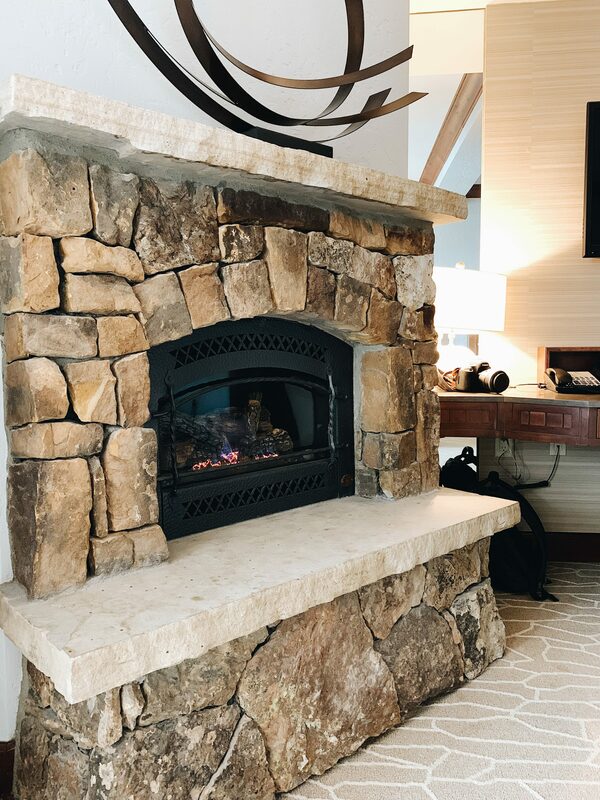 You can enjoy skiing, curl up by one of the many fireplaces, or spend time in the club lounge. So even if skiing or hiking isn’t your thing, I highly recommend staying at Ritz Carlton Bachelor Gulch for a little getaway! Our room was so cozy and had a gorgeous little balcony overlooking the mountains. We loved getting to walk out there and enjoy our coffee while watching the fresh snowfall. The room also had its own fireplace which was HEAVEN, especially when Michael would come back from skiing. The hotel was able to send up a pack and play for Shiloh, which was really convenient. If you’re ever traveling with a little one, I always recommend calling ahead and asking if they have a pack and play! 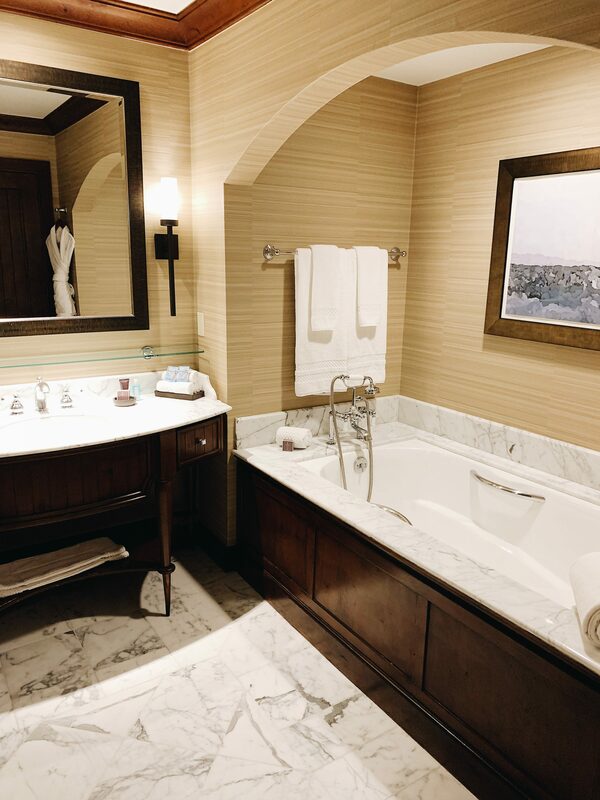 The room also had a super spacious bathroom with the most amazing shower + tub! The hotel has two restaurants, Buffalo’s and WYLD. Buffalo’s is the more casual of the two and has a cute, rustic feel to it. The cocktails were good and we definitely recommend trying the bison burger! We devoured every last bite of it. It’s open for lunch and dinner every day, and you can also sit at the bar if you want. WYLD is more of a fine dining experience and it’s absolutely beautiful! The wine selection is impressive and every dish is so creative and delicious. I recommend getting a reservation here if you stay at RC Bachelor Gulch! One of my favorite parts of our experience at the resort was the spa. It was hands down one of the most beautiful, relaxing spas I’ve ever been to. It’s truly an oasis, complete with a hot tub, steam room, and sauna. I got a 60 minute deep tissue massage and I literally never wanted it to end. They also offer facials, manicure and pedicures, and several other services. The spa is definitely a must-do in my experience! I’m usually feeling pretty stressed about working or Shiloh (especially when traveling), and I truly left the spa feeling SO rejuvenated and refreshed. It was amazing! If you’re ever going to stay at a RC, you absolutely HAVE to get access to the club lounge. It is always one of the best parts about staying there! They have snacks and drinks all day, plus it’s easy to go to with a baby. This is actually where we had breakfast every day and where I would sneak off to to get work done with Shiloh during the day. Can we also talk about how adorable the hotel dog, Bachelor, is?! Seriously such an adorable pup! But truly, I can’t recommend RC Bachelor Gulch enough. Michael and I are already talking about planing a trip this in the warmer months, because we’ve heard it’s absolutely beautiful then too. If y’all have stayed here before or are planning a trip here, let me know in the comments! Thanks for reading and happy Monday! Hands down my favorite place EVER. The Grotto at the Spa was so amazing! And Bachelor is such a highlight! Who doesn’t love being greeted by a pup?